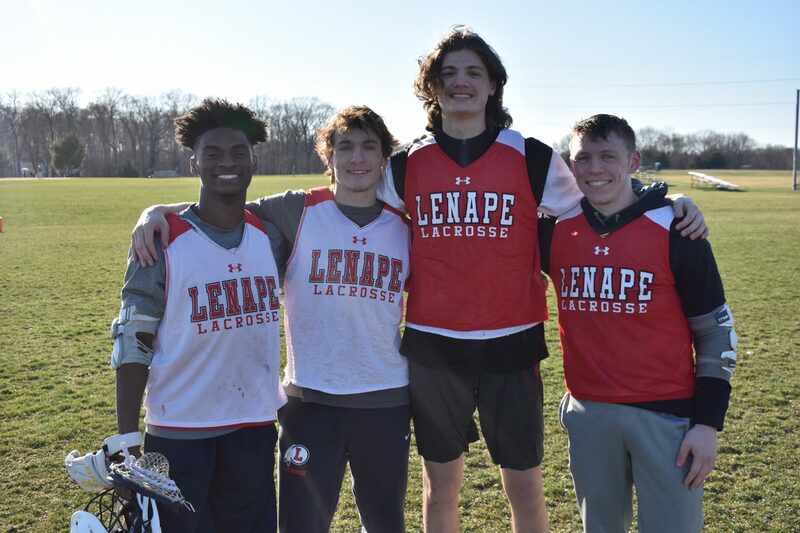 When asked to define what the Lenape boys lacrosse program is all about, senior captains Will Mercado, Bryce Reece, Rob Pensabene and Matt Soutar were all in sync. Hard work has propelled the four seniors into the captain’s role for Lenape this year. The four will be looked upon to lead the way for a young Indians team featuring only seven seniors and looking to do something the program hasn’t done before: win a state championship. Lenape’s goal isn’t far-fetched. The Indians have appeared in five straight South Jersey Group 4 finals, winning two of them. Last year, Lenape won its sectional title before losing in the Group 4 state championship to Watchung Hills. Being a captain for a team recognized as one of the best in South Jersey over the past five years is a huge responsibility, but also a big honor. Mercado said it was an honor to become a captain and follow in the footsteps of other great players. The four captains are determined to carry on the legacy of past leaders, especially when it comes to building a family-atmosphere. All four have memories of how past captains played a role in their growth. Pensabene still talks of how he looked up to former goalkeeper and 2016 graduate Manny D’Alessio during his freshman year. For Soutar, he still works with another 2016 graduate, Conor Gaffney, on face-offs and also learned a lot from 2018 graduate Zach Cole. Reece has also embraced the legacy of Lenape’s captains and got in contact with some of them to receive tips. For Reece, being a leader off the field is just as important as what goes on between the lines. He believes a family-like culture was critical to the team’s past success and believes the same will hold true this season. Mercado believes the captain’s job is made easier because of the blue-collar culture Sutphin has entrenched in the program. He said the underclassmen come into the program with a hard-nosed mentality. The blue-collar attitude and maturity could play a key role down the stretch for Lenape. All four captains noted how previous senior leaders have been able to reach new heights for the program. They want to make sure the pattern continues in 2019.